Based in Fife, we cover Central Scotland, including Edinburgh and the Lothians, Glasgow and the Strathclyde areas, Stirling, Falkirk, Dundee and Perth. For your added peace of mind, our service engineers are experienced and all are FGAS registered. In addition, we also have engineers who are Care Gas certified and can therefore work on R290 refrigerant cabinets. Plus, we have a monthly maintenance plan for your added convenience – For further details, please call us on FREEPHONE 0800 023 6641. We work in supermarkets, cold rooms, shops, restaurants, hotels, cinemas, casinos, offices, canteens, and hospitals, to name just a few places. The list is endless! We provide this service because our engineers do not just specialise in some aspects of refrigeration, but are experienced in all aspects of refrigeration and air conditioning. 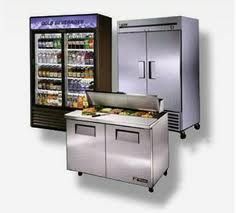 Commercial Refrigeration Services Ltd have a diverse range of customers. One thing they all have in common, however, is a requirement for quality workmanship combined with great value for money, which we deliver time and again. 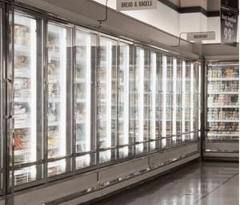 To find out how we can help you with your commercial refrigeration, air conditioning and freezer requirements, please call us today on FREEPHONE 0800 023 6641.